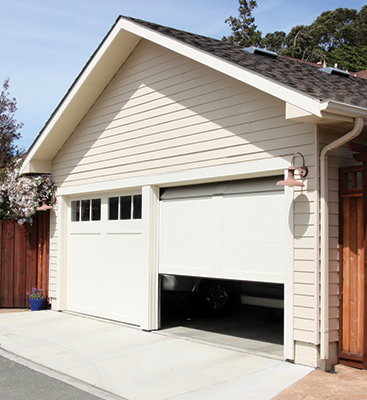 A garage door is one of those appliances, much like your fridge, that you rarely think about until it’s not working. In fact, essentially all of your appliances you likely take for granted until they break. The trick is preventing this breakage down the road by taking a couple of preemptive steps that will protect you and your appliance from costly repairs and potentially even replacements. This line of logic is most effective when applied to your garage door and your garage door opener. 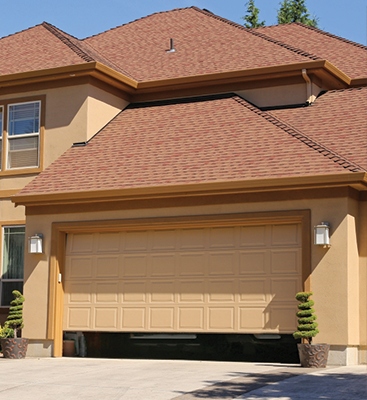 Unlike your other appliances, your garage door is something of a simple machine. But that doesn’t mean it can’t fall apart easy enough. With diligent care and the occasional thought toward your garage door and garage door opener, you’ll likely find that they break down less, and you have to worry about it less at the crack of dawn when you’re trying to leave for work. You can’t cut much besides butter with a dull knife and your garage door opener just won’t open properly if your moving parts aren’t kept up to snuff. 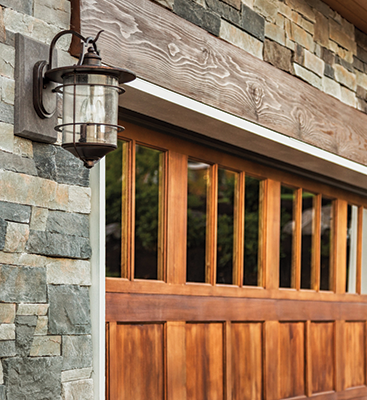 Because garage doors spend all of their time going up and down, at least a hundred times a year, you’re likely to shake a few screws loose. The most important thing to check on your garage door on a properly regular basis is the brackets holding the door on to the tracks. Especially check out the brackets holding the garage door opener unit to the platform and frame it rests in. 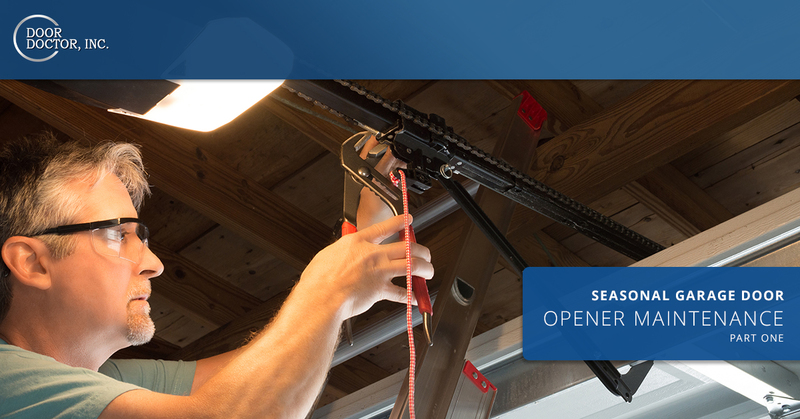 If you use a chain driven opener garage door opener, this is especially important as chain-operated openers shake more than belt or screw driven models. Use a socket wrench to tighten up any loose bolts you see and give the others a few quick turns just to make sure they’re holding steady still. You’ll only need to do this about once every six months, so it’s not terribly time intensive. Your rollers on the edge of your garage door, that your garage door opener operates should be inspected around twice per year. You should replace them around every five to seven years too. If you see that any of your rollers look cracked, chipped or otherwise worn, please make an effort to replace them. Garage doors and their openers can easily go from a harmless appliance to something that is, in fact, very capable of doing harm. This is especially true if their maintenance isn’t kept up. There’s only so much your built-in safety mechanisms can do if they’re not equipped with proper components like the rollers. If you intend to replace the rollers yourself, you can easily do so by removing the brackets holding them, the ones attached to the cables will be a bit more difficult and may require the assistance of a professional. Anything that’s metal and expected to move will decay faster than their stationary counterparts. Keeping rollers and other moving parts on your garage door lubricated will make them more resilient to the stresses of at least 600 uses per year (opening only once in the morning and once at night). Feel free to apply a spray penetrating lubricant like WD-40 about twice a year to the various moving parts on your garage door and garage door opener. Wipe the WD-40 excess off of the components before operating, obviously, but this practice should make your garage door, as well as your garage door opener, last much longer. You’ll be able to limit the amount of extra work the garage door opener is having to do for each time it tugs the door up and pushes it back down. Though, if you don’t have time for that, you can always reach out to us and we can help inspect your garage door’s components and ensure that the garage door opener isn’t under increased stress that might make it wear out faster or eventually break. Door Doctor is proud to be the best garage door opener repair in town. We provide garage door related expertise to the people of Cape Coral so you never have to worry about whether or not you need to hunt down your Sears salesmen and explore new garage door opener options or if a less expensive repair can be an option instead. We’re here to give you the facts you need to ensure your garage door opener starts functions again because we know how a little thing can turn into a huge inconvenience.